With the weight of its very successful Bangalore outlet behind it, the Delhi Asian gastro bar, which is located in RK Puram, has a tough act to follow. There's nervous energy in the space and you come away not quite sure who is in charge; multiple smartly dressed, well spoken, manager-type people come up at various points during our meal to enquire if we need anything. Clearly AD Singh has pulled all the best men from his other city outlets and stationed them at The Fatty Bao in these early days to ensure the first month is smooth sailing. 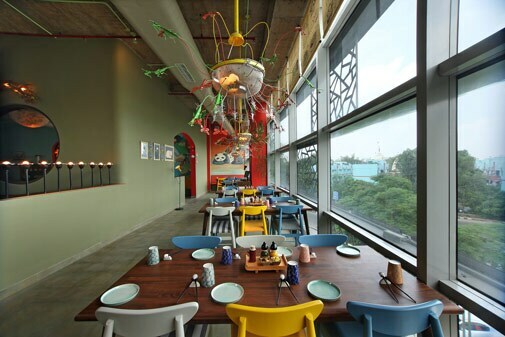 With the weight of its very successful Bangalore outlet behind it, the Delhi Asian gastro bar, which is located in the now swish Sangam theatre complex in RK Puram, has a tough act to follow. The space is warehouse-ish, the motifs and colours are kitschy and playful, and the bar is a sleek confection where those hoping to score a table (it is sold out most nights in these initial days) nurse a tall drink (there is a long cocktail list to choose from). Apart from its food, what also works in The Fatty Bao's favour is its price point; it is affordable in a city where almost everything is overpriced. Chef Manu Chandra (of Monkey Bar fame) has once again played with familiar ingredients to give you dishes that are packed with flavours that are big and bold. Their menu kicks off with a selection of sushi but the salon nigiri was dull and did not meet the brief. The unagi nigiri is a much better option if you must try sushi, but honestly, it is a much better option to stick to the dim sums, baos and small plates where the heart of the chef lies. The open baos are your best bet as you begin your meal. 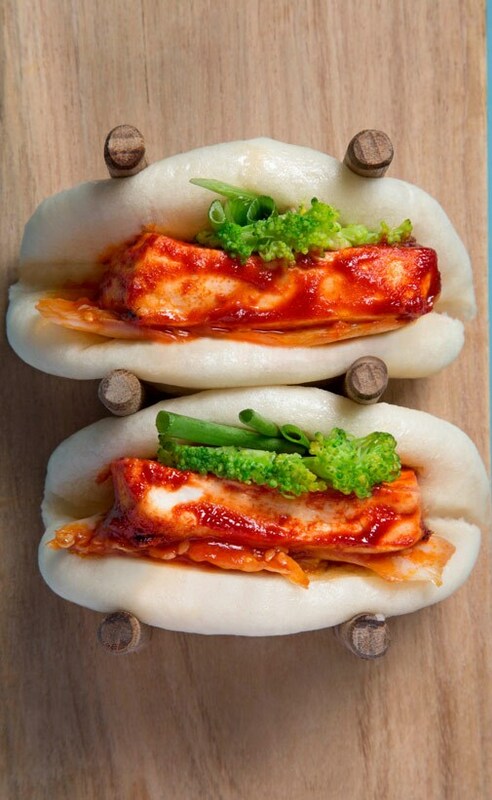 Try the spicy tofu bao or the mushroom and bell pepper one if you are in the mood for vegetarian. Both are a delight with their smart fillings and more importantly, the soft, pillowy baos that do justice to the original. For those who like their meat, the char siu bao (BBQ pork belly with green apple kimchi and sesame oil) is a clear winner with its earthy flavours and finely-cooked pork. Baos aside, the small plates have something for everyone. From duck pizza to wasabi prawns (I found it too high on mayo and low on wasabi), fatty oysters to pan seared scallops, every pop of flavour and every texture of meat, fish or vegetable you can think of, has been incorporated into the menu. The ramen bowls are excellent; good proportion of meat and noodles to broth and ringing with delicious flavours. The chasu ramen or the pork stock with bacon, braised pork belly and bean sprouts warms you up and is the right thing to order if you want to up the slurp value of your meal. The selection of desserts and teas is admirable and the coco caramel (milk chocolate ganache with praline crunch, peanut pastry cream, cocoa nib tuile and salted caramel ice cream) was fantastic. The attention to detail was apparent in this complex dessert which did not leave your palate feeling sugared out. A fitting end to your meal comes in the form of a fine selection of teas like the ginseng oolong and rosehip hibiscus. While we can see The Fatty Bao becoming popular as a bar with fantastic finger food, an equal number of people will head here for the excellent dining which shrugs off pretensions and stays with flavours and ingredients that sing together. With service that is on the ball and an incredible vibe, Delhi just got itself a delicious new watering hole.